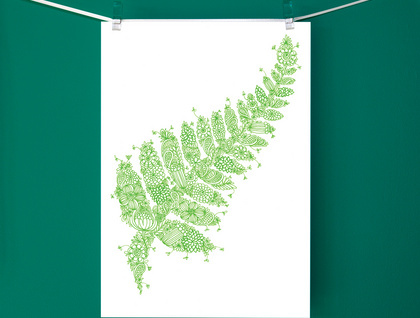 Exceptional quality digital print from an original Cloud Nine Creative illustration. 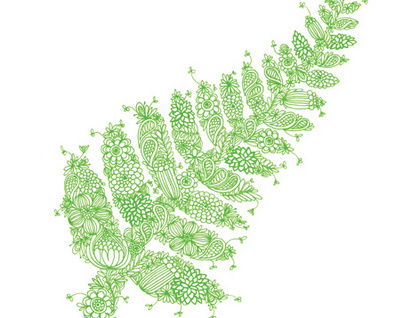 Intricately detailed, fine ink pen drawing, consists of a floral/paisley pattern joining together to form this popular kiwi icons. Completely original with loads of love, care and attention to detail. 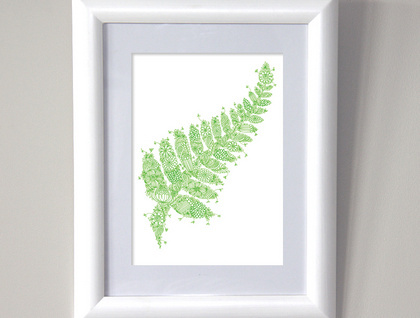 This print look fantastic framed and would make the ideal gift for kiwi’s overseas as a small reminder of home (plus they’re really cheap to post). Collect the set! Each print comes signed. Dimensions: A4 (210w x297h), printed on 225gsm white linen textured card. Feel free to ask any questions, thanks for visiting!